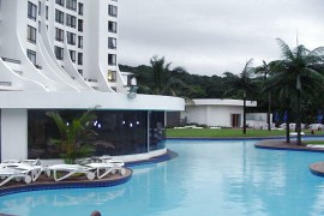 Breakers Resort is located on the Umhlanga Beach Front. The resort boasts a stunning pool, restaurant, coffee shop, pool bar, tennis court, small gym, and includes a trampoline and jungle gym for the children. During the school holiday season entertainment is laid on for the children around the pool allowing the parents to relax and enjoy the sun on one of the many sun loungers. The Apartments are fully equipped with kitchen with fridge, microwave and stove. The unit is serviced daily Monday to Friday excluding public holidays. 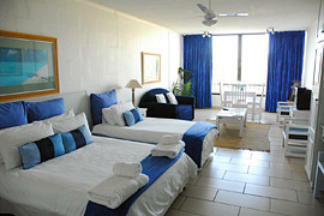 Bed linen and bath towels are supplied but not beach towels. Room service is available on request. 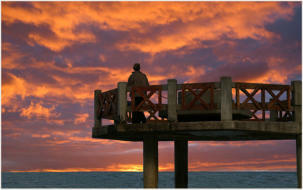 For the water lovers Umhlanga is a prime site for surfing, deep sea fishing and scuba diving. For the nature lovers the resort backs on to the Umhlanga Nature Reserve where various bird life and buck can be observed. A mere 10 min walk will bring you to the centre of Umhlanga, a vibrant town filled with shops, restaurants, and coffee shops. A 5 min drive will take you to Gateway Theatre of Shopping which has cinemas, the Wave House and rock climbing to name just a few activities. Within 15 min six major upmarket golf courses can be reached and with in a 2/3 hour drive you can find yourself either in the Drakensberg Mountains or at one of many Big 5 Game Reserves.